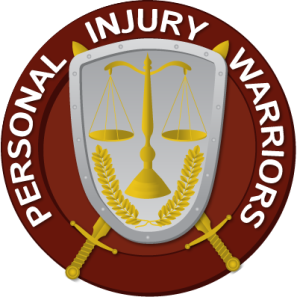 Welcome to the website of the International Personal Injury Warriors. Most of all, we are an organization of accident attorneys, medical care providers and their relative support industries. Personal Injury Warriors assist sickened, ill, and negligently harmed individuals in understanding medicine and personal injury law. Also, we have a convenient membership directory and vetting process. Of special interest, this helps us discover licensing and other credentials before allowing any professional to join the organization. As a mater of fact, we discuss a wide range of things involving varying bodily injury scenarios, and may even be helpful to these individuals in getting care for bad things that happened to them. Is this the kind of vetting process you seek in a vaunted attorney organization? If so, PI warriors is the place for you. The harm that has befallen you could have been from bad a bad car accident, defective products, unsafe pharmaceuticals, bouncer attacks, police abuse, defective vehicles like motorcycles and SUV’s, deceptive business practices and/or from the acts of giant corporations that consistently place profits over consumers. Our goal is to educate and train our members to become top-notch consumer/patient rights advocates, thereby improving the image of the personal injury profession in the eyes of the common man. Our members are devoted to the highest standards of excellent legal and medical ethics and representation. We also provide a forum where doctors and lawyers who represent the interests of victims can meet and discuss the local and international aspects of bodily injury claims. We engage in lobbying efforts, such as that revolving around cruise ship negligence and elderly abuse, and we are a strong leader in supporting the rights of injured consumers. With chapters in Los Angeles, California, all the way to Clearwater Florida, and a base of vetted doctors, nurses, paralegals, law clerks and attorneys, we are ready to connect you to professionals who have stood out in their various communities and whom we feel can offer value to the site. With over 1,000 followers on Google Plus in the Circle of Legal Trust database and Web-O-Trust, we work with other non PI lawyers and all manner of medical care experts. In fact, this includes surgeons, and lifecare planners. Most of all, we do so in order to help all of our clients and patrons find the answers to their “crossover,” or related medical and legal questions. For example, a hit and run accident can involve a criminal drunk driving case and even involve restitution. So it’s not just tort damages victims can get. The idea here is to leave no stone unturned in getting hurt people the maximum value in their financial and physical repair. Keep in mind that we are not a referral service, we do not offer legal or medical advice as an organization, and we don’t take sides with differing opinions of the experts listed on our site, or in the position papers they post here. Our sole goal is to provide the highest quality data to the suffering and provide them with a way to vet our members for themselves. We always encourage all viewers of the site to get a second opinion. Because of this, we specifically are informing you that nothing on this site shall be construed as medical or legal advice. No exceptions… EVER. Do you have a general legal question that may overlap with a personal injury? Go here to Circle of Legal Trust for answers. We may have the answer that you are seeking. Top Contributor: Check out Los Angeles personal injury attorney, Michael Ehline, of Ehline Law Firm PC. He has been our top author for over 12 months solid. Learn how you can be a top contributor and contact us. TOPIC: Synopsis: Man injures spine during Venice Beach intersection accident caused in part by defective Los Angeles City traffic signal. Synopsis: Woman suffers partial fingertip amputation on limousine wine tasting excursion/limousine party bus. I was pleasantly surprised when I was selected to be on the board of PI Warriors. This is an amazing interactive group of legal advocates and I am 100% behind them. Personal Injury attorneys advocate for their clients. Join the elite group of Personal Injury Warriors. Visit our Contact page with your support inquiry and we'll respond same day in most cases.